Ordinarily, I would write a full and in-depth season preview, taking an appropriately full and in-depth look at the squad’s various areas of strength and weakness, and assessing our chances for the new season. However, in the current circumstances, it feels impossible to do that. By the time you’ve read this piece, Cesc and Nasri might have gone. Hell, they might have gone by the time I finish writing it. One thing is clear: they are going, and in doing so leaving a gaping hole in the squad. And that’s on top of all the other gaps we’re yet to fill. There is a huge amount of work to be done between now and August 31st. And I’m only talking about off the pitch. What’s frightening is that in those two and a half weeks we also have to play some very important fixtures. To me at least, it doesn’t really feel like the season kicks off today, because this Arsenal squad is so obviously unready; so patently half-baked. I’m praying that feeling isn’t shared by the squad. Arsene said yesterday that “transfer speculation is disruptive but not an excuse”, and he’s right – we simply have to hope the players whose future is with Arsenal are focused on the job in hand. We do, of course, have a team capable of beating Newcastle tomorrow, even without Cesc, Nasri, and the injured Jack Wilshere. Robin van Persie will inherit the armband and play in the central striking role, supported by Gervinho and one of Arshavin or Walcott. Tomas Rosicky will most likely fill the playmaking role, with Alex Song and Aaron Ramsey patrolling midfield behind him. Wojciech Szczesny will keep goal behind a back four of Kieran Gibbs, Bacary Sagna, a fit again Thomas Vermaelen, and one of Djourou or Koscielny. There will, of course, be scars for our collapse their last season. To avoid any repeat, I advise going 5-0 up as soon as possible. Surely that will be a bridge too far. In my opinion, Newcastle have bought well this summer, and our centre-backs will have to concentrate to keep out the lively Demba Ba. If I were Alan Pardew, I’d be picking Joey Barton too: there can’t be a player in the country more determined to make a point on the pitch. We should, however, have enough. We look strong in attack, and as much as we’d all like to see more defenders arrive, we can be thankful that we have our ‘first choice’ defence available this evening. For the next few days, the transfer market will play second fiddle to the return of proper football. We travel to Newcastle and then we face Udinese at home, when we’ll be without the suspended Robin van Persie. Both games are vital: for morale, for our bank balance, and for ensuring we’re remain an attractive enough proposition to attract the reinforcements we clearly need. And it doesn’t end there. A few days after Udinese, we face Liverpool, before heading out to Italy for the second leg. Then the following weekend we travel to Old Trafford for what an encounter that could define the opening portion of our domestic campaign. There is no respite. No week off in which Arsene can ponder his targets, or embed a new signing within the team. The league may kick off today, but between now and September 1st we have five cup finals. Five cup finals around which the manager has to rebuild his squad. We all know what is required. Certainly a centre-back, and certainly an attacking midfielder if both Nasri and Cesc depart. Beyond that, I think we’re potentially week in both full-back positions, defensive midfield, and indeed upfront, with Nicklas Bendtner still hoping to secure a move away from the club. 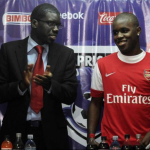 The signing of Joel Campbell means the acquisition of another promising teenage talent, but will do little to placate concerned fans: for one thing, he may not even receive a work permit for the coming season. Those hoping for big names might need to readjust their sights – Juan Mata, for one, this not be arriving this summer. It is a rebuilding in its truest sense. If you look at the list of possible departures this summer, by September it could should read: Denilson, Clichy, Fabregas, Nasri, Bendtner, Almunia, Vela. 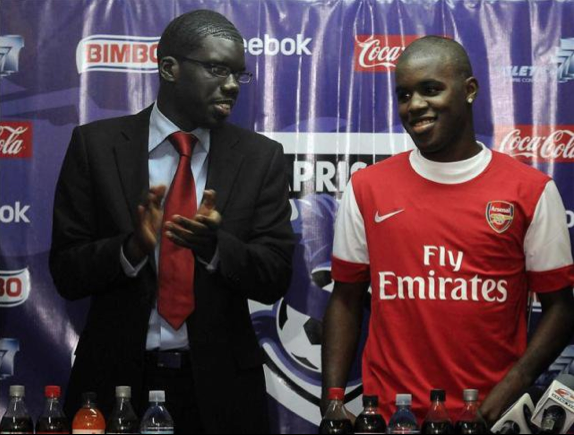 That is a generations-worth of Arsenal talent. At one time or another, Arsene has earmarked them all for a significant role in ‘this’ Arsenal team. That team, Cesc’s team, has now been disbanded. A new one is emerging, with a far more Northern European than Mediterranean flavour. A team dominated by Van Persie, Vermaelen, and a growing British core of Wilshere, Ramsey, Gibbs, Walcott, Jenkinson and Chamberlain. In most circumstances, it would be exciting. But the revolution has come at a time when Arsenal fans do not have the patience for yet more transition. Arsene has nurtured a team around Cesc and Nasri, only to have the creative heart ripped out of it when he thought it was closest to fruition. Now he’s left to pick up the pieces and try and build yet another new side. With the growing pressures on him, his only option is pragmatism. He has to be more short-termist, and bring in experienced players who represent immediate solutions. We’ve said this before, but never has it been more urgent, and more true. The season proper starts on September 1st. If Arsene isn’t careful, his position could become untenable before then. If you want to follow today’s game, I’ll be doing updates on twitter. Finally, anyone playing fantasy football at http://fantasy.premierleague.com can join the Gunnerblog league by using this pin: 1767385-375923. Site is a bit bogged down at the mo but keep trying! Don’t forget you can subscribe to the new season on Gunnerblog via email or RSS.